Before these photos are completely forgotten in oblivion, I’d like to post them here so I can always remember Seattle’s Best Coffee at Market! Market! Fort Bonifacio Global City Taguig. If not the coffee, at least the place. Market! Market! is hands down one of the best malls in Metro Manila. 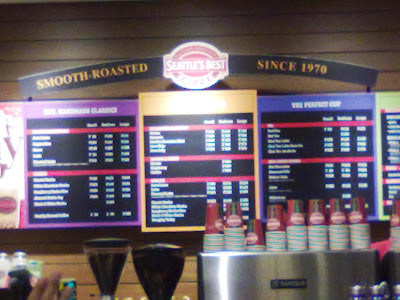 As for Seattle’s Best Coffee in this mall, it’s strategically located at the far left corner of the main entrance. You’ll easily spot it after you drop off a commuter’s public transport or when parking your own vehicle. Although Market! Market! 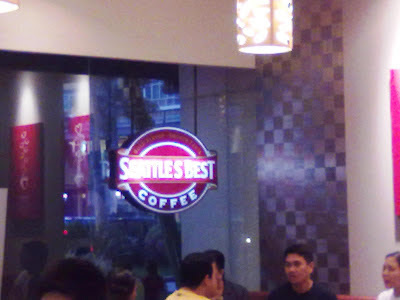 Fort Bonifacio Global City Taguig location can be considered compact for a shop, but it’s perfect for those quiet moments when you want to sip a cup of coffee not amongst a crowd but in the company of someone special or simply with your laptop or tablet PC. As for the menu, it’s pretty much similar to what other coffee shops offer. 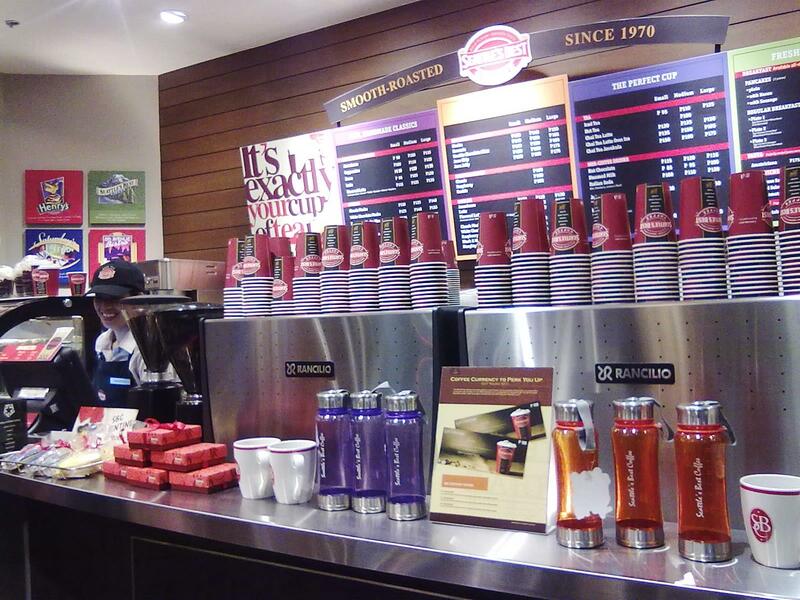 You’ll find the usual popular flavours for hot or iced coffee. On the sides, you can take a bite of desserts as well. 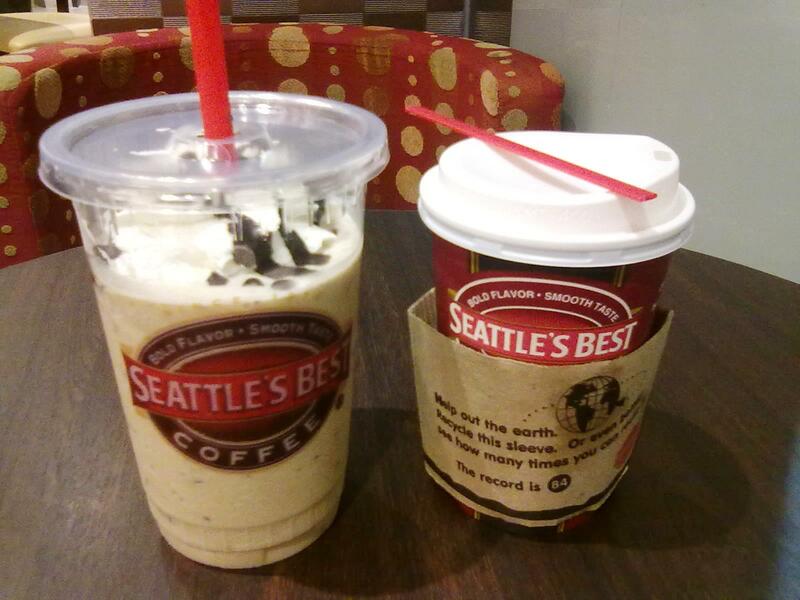 As for the prices, if you are familiar with the rates in that popular coffee shop franchise (you know what it is! ), then there’s not much difference. 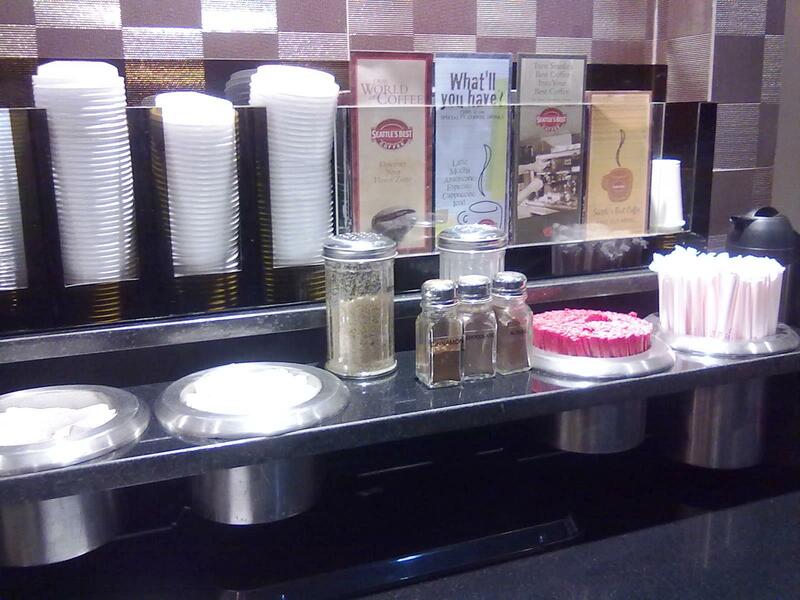 You will just notice that the cup sizes are named differently. In relation to ambiance and menu, I was with someone on that windy late afternoon. We ordered what we normally get in a popular coffee shop. I got a hot latte while he had a cold chocolate java chip. We intentionally purchased the usual flavour because we wanted to compare the difference between Seattle’s Best Coffee and that other famous shop everyone knows about. There’s no significant difference when it comes to the latte but the chocolate java chip tasted remarkably different. It was actually sweeter and more chocolate filled in that other shop. 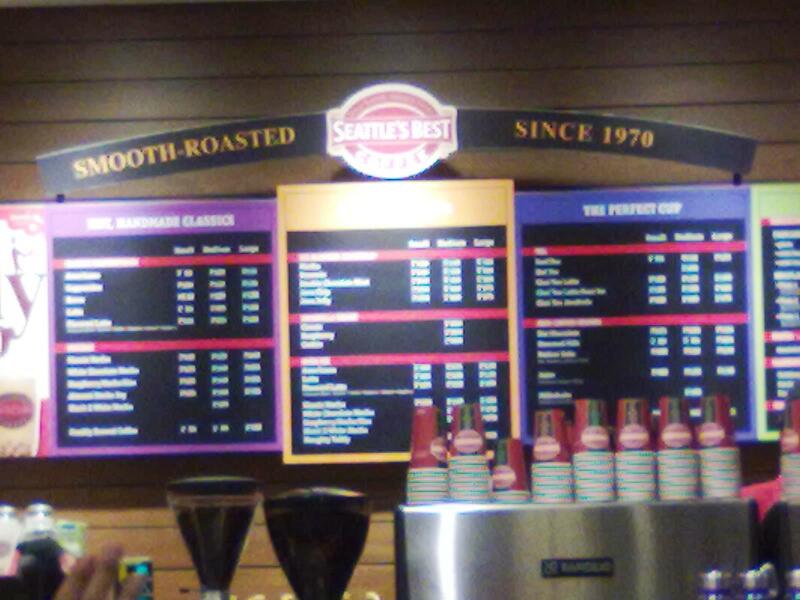 Seattle’s Best Coffee’s version is more conservative. The overall experience was nonetheless satisfying. The location was strategic, the ambiance is perfect, and the coffee is good. It’s not exceptional but it’s still great for a coffee lover. I like their coffee blends and frappes. I am always clamoring for some blended coffee at mid day. But would you agree that Starbucks is still better though?